In 1867 a ship called the ‘Jacknell' left New York bound for Ireland. The men on board hoped to assist in a Fenian rising. The enterprise started when on the 12th of April, 1867, a party of forty or fifty men, almost all of whom had been officers or privates in the service of the American government, and had distinguished themselves in the recently concluded American Civil War, went down from New York to Sandyhook. There they boarded a brigantine of about 200 tons, which had been purchased for the expedition and in that boat these men sailed for Ireland. She was called the 'Jacknell,' and she sailed without papers or colours. The commander of the expedition was named John F. Kavanagh, and he had filled the office of brigadier-general in the American army, and was also at one time a member of the American Congress. These men had on board a very large quantity of arms packed in piano cases, cases for sewing machines and wine barrels, in order to conceal them effectually; and the parcels were consigned to a merchant firm in Cuba. The ship steered for one day towards the West Indies, in order to avoid suspicion, and then shaped her course towards Ireland. Nothing remarkable occurred until Easter Sunday, April 29th, nearly nine days after they had sailed from New York. The parties, determined to celebrate that day as a festival, hoisted the green flag with a sunburst, fired a salute, and changed the name of the vessel to 'Erin’s Hope'. Kavanagh produced sealed orders, which ordered him to sail to Sligo Bay and there land his men and arms. If he found it impracticable to land there, he was to proceed to some other place in Ireland. Some days after this, they came in sight of the ‘coast of the county of Limerick, and then they sailed towards Sligo and arrived in Sligo Bay on the 10th of May. For six days they sailed between Sligo and Donegal Bays sending signals to the shore which remained unanswered, nor was there any sign of the insurrection they sailed to help. Local fishing boats, anxious to know why they were there, visited them but these fishermen knew nothing of a Fenian Rising. As the days went by signals were sent from the Coastguards on shore demanding that they identify themselves and state their business. 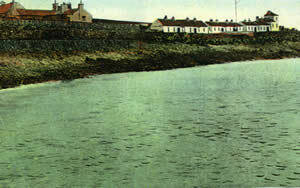 When unsatisfactory answers were received coastguards who were stationed in the village boarded them off Mullaghmore Head. Finding nothing suspicious they made no attempt at an arrest. Around this time some of the crew were injured by the ‘accidental’ discharge of a weapon by a man named Buckley who, later on, would betray his shipmates, and indeed may even have been a paid informer. The injured men were put ashore near Streedagh where they were discovered some time later by a Coastguard patrol. They were arrested, tried before Ormsby-Jones J.P. and sent to prison. Captain Kavanagh, after two weeks of waiting, landed two of his men, Col. O’Doherty and Lieut. O’Shea at Sligo town with the intention of hooking up with the local Fenians. He had high hopes that the men of the Northwest would rally to his call and strike a blow for freedom as the men of Mayo did when the French boats came to Killala. As the ship glided stealthily into Sligo harbour a message came from Co. Kelly, chief organiser in Dublin of the I.R.B informing the captain that the insurrection was in disorder and ordering him to proceed to Skibereen. A search party was sent ashore to recall O’Doherty and O’Shea but failed to find them. The Erin’s Hope had been too long in the bay so the Captain reluctantly hoisted sail and sped south, narrowly avoiding a confrontation with an English gunboat which had been summoned to the area from Blacksod Bay station — more than likely as a result of the boarding incident at Mullaghmore. John Warren, 15 years’ penal servitude. William Halpin, 15 years’ penal servitude. Augustine E Costello, 12 years’ penal servitude. Contemporary accounts record that: ‘The prisoners heard their doom pronounced in good spirits. General Halpin remarked that he would take fifteen years any day for Ireland. Colonel Warren informed the Court that he did not think a lease of the British Empire worth thirty-seven-and-a-half cents, and then all three, followed by a posse of warders; disappeared from the dock. And thus were three men of education and ability added to the hundreds who are now rotting their lives away in British dungeons; because of the love they bore to Ireland and their hatred of the misrule that makes her the most afflicted and miserable land on earth." 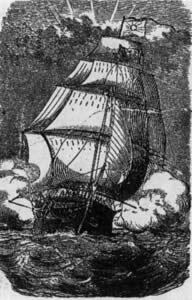 After many more adventures and attempted landings along the Irish coast, and the eventual loss of thirty two crew members, Captain Kavanagh was forced to abandon the mission and, grieving for his comrades held in British dungeons because of the aforementioned informer, Buckley, set sail for New York. The Erin’s Hope may not have rendezvoused with the Fenians but her Captain had outmanoeuvred the English navy in Ireland for over three weeks, landed men, exchanged communicatons and, after a voyage of over 9,000 miles, returned safely with his ship and cargo. The craft made three landings in Ireland and one in England, during which time they came close to capture several times. At no time were they over twelve miles from a British man-of-war, a frigate, ram, or gunboat, and were continually harassed by pilots. They were at sea 107 days in which they sailed a grand total of 9,265 miles. In the wake of the Erin’s Hope three gunboats which had attempted to capture her were sunk: the gunboat ‘Lapwing lost in Killala Bay, the ‘Revenge wrecked on Daunt’s Rock and another gunboat which foundered in a gale off Cape Clear.